Acrylic, also known as PMMA or plexiglass, is derived from English acrylic (acrylic plastic) and its chemical name is polymethyl methacrylate. It is an important plastic polymer material developed earlier. It has good transparency, chemical stability and weather resistance, easy dyeing, easy processing, and beautiful appearance. It is widely used in the construction industry. Plexiglass products are generally classified into cast sheets, extruded Sheets, and molding compounds. 1. With crystal-like transparency, the light transmittance of more than 92%, soft light, clear vision, acrylic dyed with dye has a good color effect. 2. The acrylic sheet has excellent weather resistance, high surface hardness and surface gloss, and good high-temperature performance. 3. The acrylic sheet has good processing properties, both thermoforming and mechanical processing. 4. Transparent acrylic sheet has a light transmittance comparable to glass, but the density is only half of the glass. In addition, it is not as fragile as glass, and even if it is destroyed, it does not form sharp fragments like glass. 5. The acrylic sheet wear resistance is close to aluminum, good stability, resistant to a variety of chemical corrosion. 6. 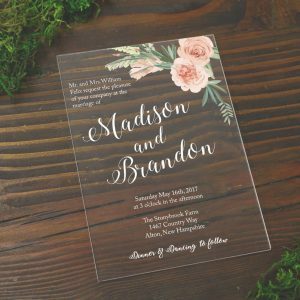 The acrylic sheet has good printability and sprayability, using appropriate printing and spraying process, can give acrylic glass products the ideal surface decoration effect. Cast molding is used to form profiles of plexiglass sheets, rods, etc., that is, forming profiles by bulk polymerization. The cast product needs to be post-treated. The post-treatment conditions are 2 h at 60 ° C and 2 h At 120 ° C.
Injection molding uses pellets obtained by suspension polymerization and is formed on a conventional plunger or screw injection molding machine. Table 1 shows typical process conditions for polymethyl methacrylate injection molding. The treatment is carried out in a 70-80 °C hot air circulation drying oven. The treatment time depends on the thickness of the product and generally takes about 4 hours.